Getting ready for the Year in Review I was looking at all of the 2016 posts. In January I added eight 4-packs to the 4-pack Color Combination Archive. Those additional packs mean the archive is almost halfway (46%) to documenting ever possible 4-pack color combination. But are all of the combinations really possible? I want to take a look at two different groups of Dark Blue combinations. If we can provide examples of each of these combinations, then I believe ever color combination is possible. If not, then we have a new riddle to solve. The first combination only has one documented example. I selected the second combination because half are already documented. Does anyone have a 4-pack with any of the above combinations? If you do, then please send the pictures to uofmuscle@gmail.com. And if you have any undocumented 4-packs, then I would love to add those to the archive too. Those pictures can also be sent to uofmuscle@gmail.com. Speaking of adding pictures and finishing an archive, the last update to the 233 Counterfeit Collection happened three years ago. It has been stuck at 88% complete for three years. I would like to try and complete the 233 Counterfeit Collection by the end of 2017. 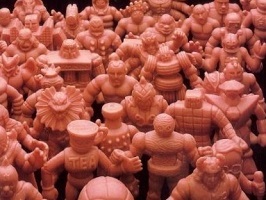 There are 28 counterfeit figures that need to be documented. 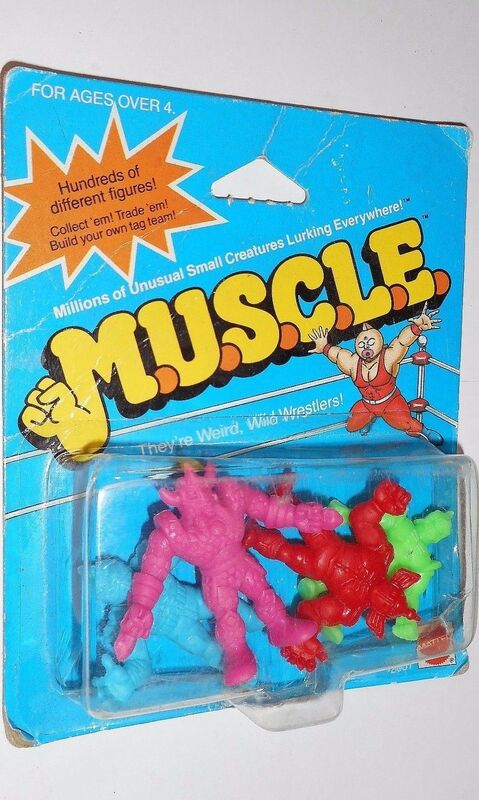 Lucas Rage, the King of Counterfeit M.U.S.C.L.E. figures, has provided most of the pictures. I think it would be great if we could complete it without his assistance. Not because we don’t want his help, but because we appreciate all of the work he has done. 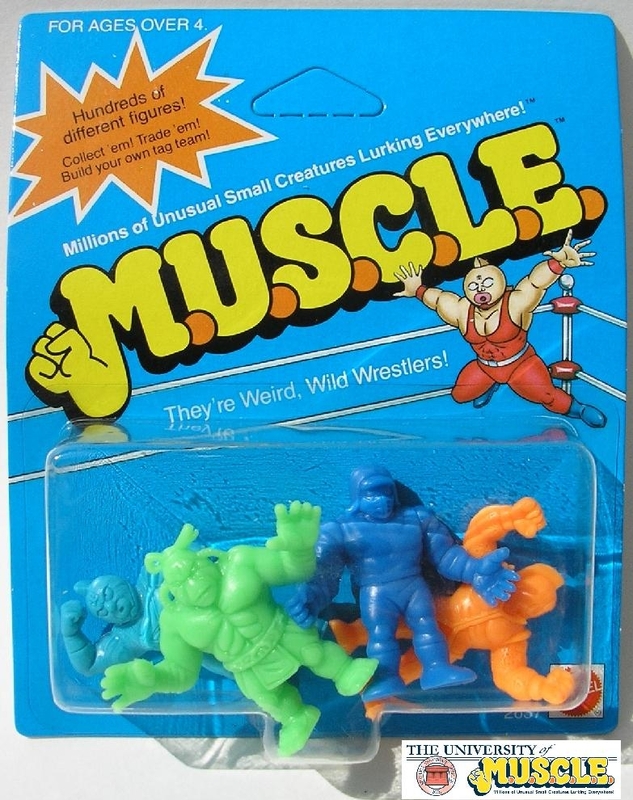 If you have any of the remaining 28 counterfeit figures, then please send the pictures to uofmuscle@gmail.com. Did a quick scan of eBay and already found a new color combination. It wasn’t one of the specific ones I’m looking for in this post, but I’m still adding this LB, G, R, M to the archive. This entry was posted on Thursday, December 8th, 2016 and is filed under History, Research, UofM News. You can follow any responses to this entry through RSS 2.0. You can skip to the end and leave a response. Pinging is currently not allowed. Do you have a S,P,G,M 4-pack combination documented? Ok. I have that combination so I’ll send in a photo later today. I’ve already added it to the archive. Thanks to you, I now have your G, S, M, P 4-pack. Just like Nick’s your 4-pack has already been added to the archives. Thanks again! One more 4-pack and we’ll be at 50%.